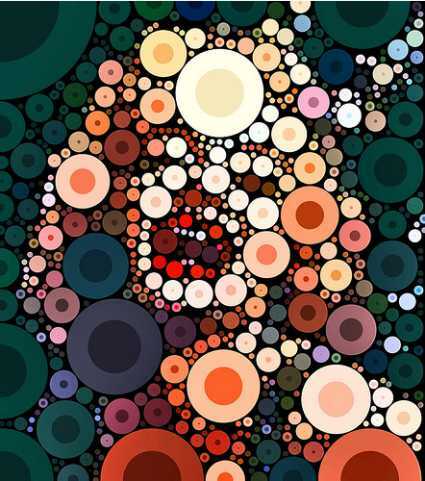 Percolator is an app available for the iPad and iPhone that allows anyone to transform photographs into multicolor mosaics. 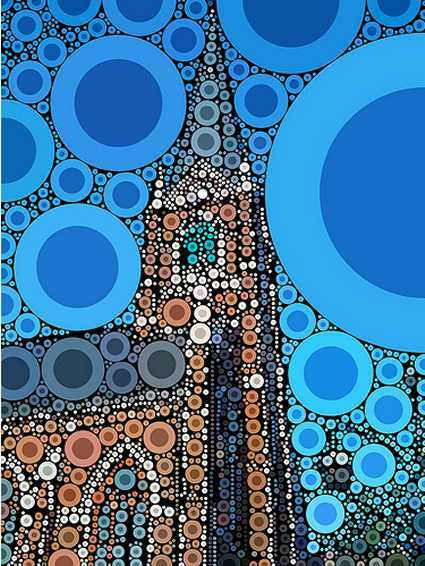 Where The Art Is, a London-based artist, used this app on his iPhone to create several dazzling images. One such example below depicts a very famous woman. Do you recognize her? 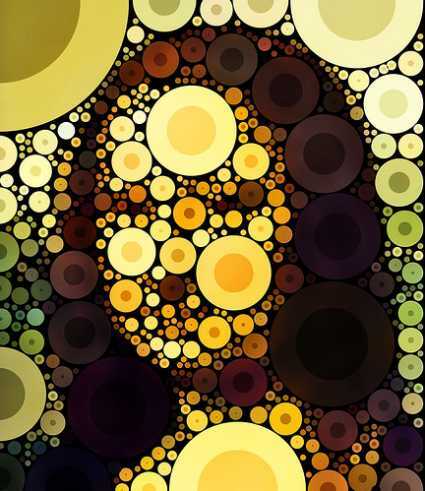 Continue reading this post to see additional examples of images created by Where The Art Is using the Percolator app. If you would like to make these types of mosaics out of your own photographs, check out this app for yourself.